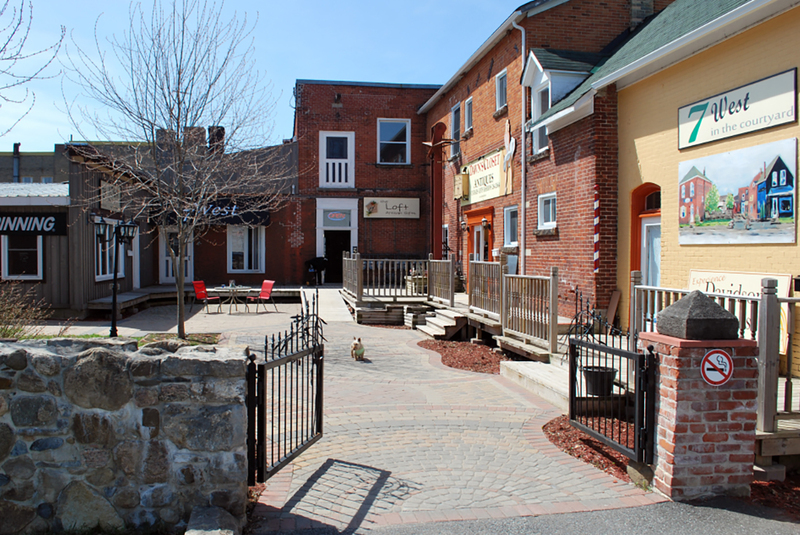 As the major centre between Ottawa and Kingston, Smiths Falls enjoys a “small-town” ambience that is very sought after. A town steeped in history, coupled with the nearby beauty of the Rideau River and the Rideau Canal, this area is a pleasure to visit. In 1784 Major Thomas Smythe, a United Empire Loyalist, received a Crown Grant of four hundred acres from the Royal Commission as a reward for loyalty. A sawmill was built by Smythe, his two sons, Terrance and Henry, and his son-in-law, William Merrick of Merrickville. In 1826, Lieutenant-Colonel John By of the Royal Engineers was sent to Upper Canada to build the Rideau Canal. Within a short period of time the village had a sawmill, a gristmill, a flour mill, a blacksmith shop, two stores, a tannery and houses. It grew so quickly, that it became a major commercial centre, which was given an added boost when the Canadian Pacific Railway ran its main line through town. The town was originally called Wardsville, then Smythe’s Falls, which was modified to Smith’s Falls. In 1968, the apostrophe was officially removed. 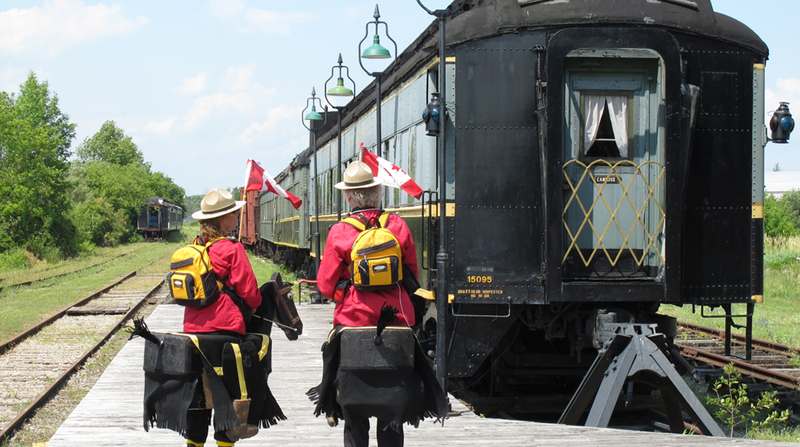 Smiths Falls boasts three very active and exciting museums which give visitors glimpses into the past. Joshua Bates original home, built in 1861, is now the Heritage House Museum (613 283-6311), 11 Old Slys Road. The classically-styled Victorian home has been restored with eight period rooms, a two-storey privy and a working brick bake oven. The museum hosts a variety of events and exhibitions. The Canadian Northern Railway Station (later the CNR) is the site of the Smiths Falls Railway Museum of Eastern Ontario (613 283-5696; rmeo.org), 90 William Street West, which has an extensive collection of rolling stock and inspection vehicles, and offers train rides, including the North Pole Express in December. The Rideau Canal Visitor Centre (613 283-5170), housed in a 19th century stone mill at 34 Beckwith Street South, takes you back through the incredible six years from 1826 to 1832 when Colonel By planned and built the canal from Kingston to Ottawa. 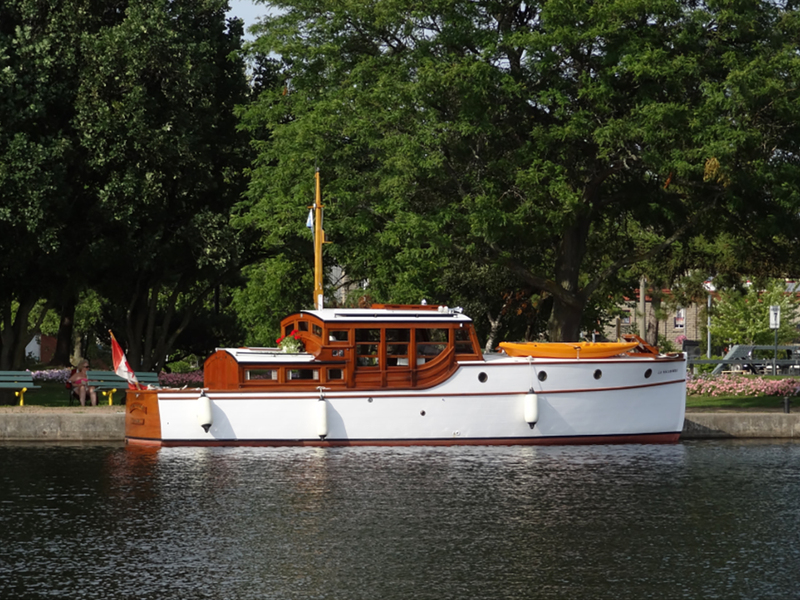 The Rideau River brings boaters from the water and interested spectators from the land. The Rideau Canal System has three locks within the Town of Smiths Falls: The Smiths Falls Detached Lock on the west side of town; the Smiths Falls Combined Locks, a hydraulic lock built in 1973 to replace three of Colonel By’s locks and the largest single chamber lift on the Rideau (25 feet); and Old Sly’s Locks on the east side of Smiths Falls. There are picnic facilities alongside the locks and you can watch the Parks employees opening and closing the locks by physical effort and a pulley system installed in the early 1800s by Colonel By. The former Hershey chocolate plant is now Canopy Growth headquarters, growers of medical marijuana. The Tweed Visitor Centre, offers interactive educational displays, and a catwalk that overlooks the cannabis manufacturing and grow rooms. In keeping with the history of chocolate making, a chocolate factory has opened up on the premises. The town has a variety of types of accommodation to please the visitor. The Econo Lodge (613 283-5150), 33 Centre Street, sits overlooking the Rideau River. The Best Inn Motel (613 284-0464), 241 Lombard Street, offers quality accommodation. Roger’s Motel (613 283-5200), 178 Lombard Street, has a whirlpool. All rooms are tastefully furnished with antiques at Montague House Bed and Breakfast (613 283-4198), 482 Queen Street, which serves a full breakfast. Best Western Colonel By Inn (613 2840001), 88 Lombard St, serves a complimentary breakfast. Katmor’s Bed and Breakfast (613 2051102), 26 Willow Lane, serves a delightful, gourmet breakfast. Smiths Falls offers a variety of restaurants. The Ger-Bo’s Steakhouse Family Restaurant (613 283-4940), 11 Beckwith Street South, serves Canadian and Italian cuisine. Rob Roy’s Pub (613 283-9093), 33 Centre Street, specializes in English pub fare. The Roosteraunt (613 283-7151), 60 Lombard Street, specializes in breakfasts and home-baked menu items for lunch. International fine cuisine is the order of the day at Chuckles Jack (613 2051400), 23 Russell Street East. The Country Diner Restaurant (613 283-8635), 23 Union Street, serves home-cooked food. European cuisine is the specialty at My Place Restaurant (613 284-4696), 2 Main Street West. Café Whim (613 2833008), 7 Russell Street West, offers artisan sandwiches, soups, wine, craft beer and more. C’est Tout Bakery (613 2840774), 14 Beckwith Street South, serves great coffee, tea, breakfast, lunch and sells daily madefromscratch baked goods. Matty O’Sheas Pub (613 2836363), 12 Chambers Street, is a sports pub with food and entertainment. Breakfast, lunch, coffee and drinks are offered at Perfect Thyming Restaurant (613 2839577), 17 Chambers Street. The NOAL Pantry (613 706-2188), 6 Russell Street, specializes in breakfast, lunch and coffee. A large selection of dishes is offered at Wongs Restaurant and Chinese Buffet (613 283-2828), 60 Lombard Street. King Star Oriental Buffet (613 283-5798), 15 Greig Street, Man Ling (613 284-2626), 28 Main Street West, and the Lotus House (613 283-2777), 12 Main Street West, all serve Chinese food. Two Guys for Lunch (613 284-2202), 91 Cornelia Street West, serves an eclectic menu of home-made soups and sandwiches, quiches and more. A number of other restaurants and fast-food outlets are scattered throughout the town. Many interesting shops and boutiques open their doors to the visitor. Browse through the downtown area or visit the 30 stores and services in the Settlers Ridge Centre (613 205-1418), 275 Brockville Street. Every Sunday, year-round, the Sunday Flea Market (613 205-1537), 65 Cornelia Street East, offers crafts and treasures. Greeting cards, souvenirs, postcards and plush toys are featured at Special Greetings and Gift Shop (613 283-2244), 8 Russell Street East. Modern Thymes Natural Foods (613 283-3612), 11 Russell Street East, carries a variety of bulk foods, specialty food, and vitamins. Gemmell’s Garden Centre (613 2836371), 11862 Highway 15 North, has an incredible selection of plants. Gemmell’s Flowers Ltd. (613 283-7666), 39 Beckwith Street North, sells both live and artificial flowers, as well as gifts for every occasion. The Gilded Monarch (613 283-3008), 7 Russell Street West, sells Fusion Mineral Paint and supplies. Arlie’s Books (613 2830116), 32 Market St, has been in operation since 1981 and has an impressive selection of new and used books. Elizabeth Interiors (613 2837581), 8 Chambers Street, is a repository of fine home decor. The Garden Market (613 2834821), 115 William Street West, offers fresh produce, groceries and a garden centre. Yarns, pattern books and accessories are available at Yarns Aplenty (613 285-9315), 12 Russell Street East. The Rideau Candy Shoppe (613 7956203), 20 Russell Street, offers an incredible selection of sweets and treats, Kawartha ice cream and more. Rideau River Music (613 2831410), 11 Main Street West, stocks musical instruments and accessories. Sweet Scoops (613 283-7707), 1 Chambers Street, is an ice-cream store which also has chocolate and candy. Toy Heaven (613 8833636), 14 Russell Street East, is chock full of toys and games. Vinnies Used Furniture and Treasures (613 5529292), 25 Beckwith Street North, carries a little of “everything under the sun.” Valley Custom Cutting (613 205-1111), 159 Lombard Street, sells meat of all sorts and will custom cut for the customer. The Mercantile (613 283-3008), 7 Russell Street West, is a general store offering gourmet culinary products and gifts. Smiths Falls has a number of clothing stores. Marianne Style (613 283-6202), 45 Beckwith Street, is a high-end ladies’ classic clothing store. Michele’s Doorway to Splendour (613 2839942), 10 Beckwith Street South, stocks women’s brand-name fashions and high-quality consignment items. The Score (613 2051240), 55 Beckwith Street North, is a thrift store, as is Jewels Gently Used Clothing (613 2839723), 18 William Street East, which also has consignment goods. Smith’s Shoes Comfort and Corrective Footwear (613 2830577), 12 Beckwith Street North, carries a large inventory of name-brand shoes, socks and accessories. Smiths Falls has a number of annual events, including the following. The end of March is the Annual Downtown Easter Egg Hunt. The third Saturday in June is the Annual Healthy Living Festival. The third week of August is Trainfest at the Railway Museum as is the Smiths Falls Creative Arts and Fair. The month of December is the Celebration of Lights. From the beginning of November to mid-December, the Heritage House Museum hosts the Annual Art Show and Sale (613 283-6311). The Smiths Falls Community Theatre (613 2830300), 53 Victoria Avenue, in the old CPR Station, provides a full slate of live theatre, concerts and movies. There are many places to visit in Smiths Falls and this article does not attempt to include them all but has left many exciting attractions for the visitor to discover. It is meant to give potential visitors a glimpse into the community. Once you have tasted the hospitality of Smiths Falls, you will surely want to stay and enjoy the full fare. More information is available from the Smiths Falls and District Chamber of Commerce in the Town Hall at 77 Beckwith Street North (613 283-1334; smithsfallschamber.com), which also houses the Welcome Centre.